The increased opacity is important in posteriors with amalgam staining. by light source and depth. 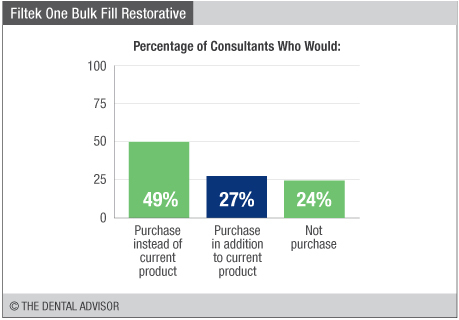 Filtek One Bulk Fill Restorative was evaluated by 41 consultants for a total of 1075 restorations. 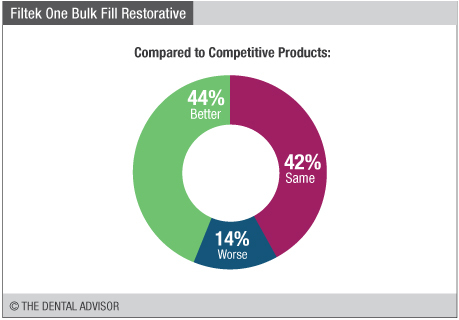 Filtek™ One Bulk Fill Restorative is a light-cured, bulk fill nanocomposite restorative material, with increased opacity for improved esthetics. 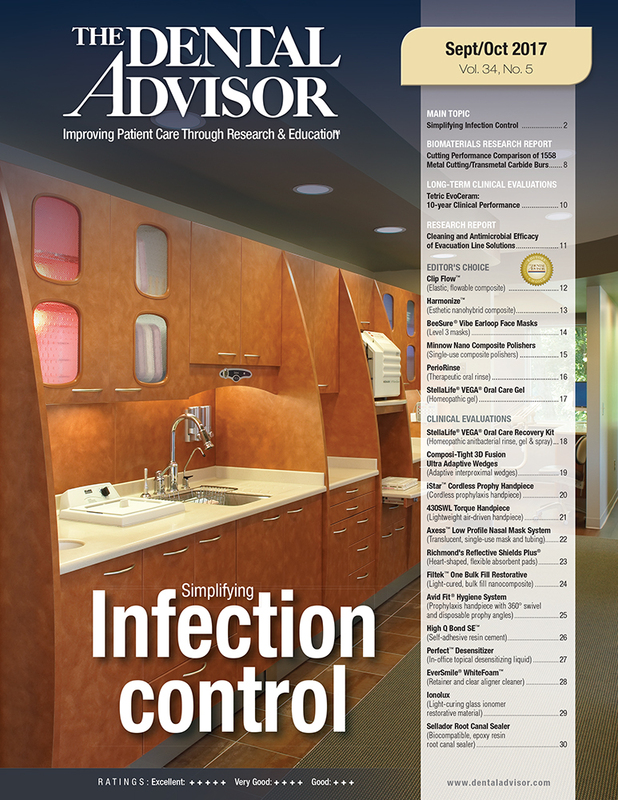 With a 5mm depth of cure, it allows for fast and easy one-step placement and can be sculpted. 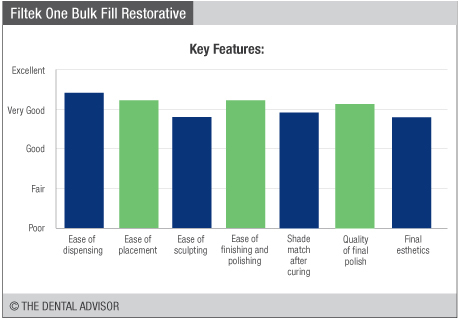 Filtek One Bulk Fill Restorative is designed specifically for the posterior, providing excellent marginal adaptation, superior wear resistance and excellent polish retention. The opacity is increased on curing, resulting in esthetic results without compromising the depth of cure. In addition, the aromatic urethane dimethacrylate helps to reduce polymerization shrinkage and stress. The addition-fragmentation monomer also reduces the polymerization stress. 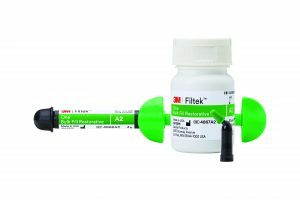 Filtek One Bulk Fill Restorative is available in shades A1, A2, A3, B1, and C2, in 0.2 g capsules and 4 g syringes.